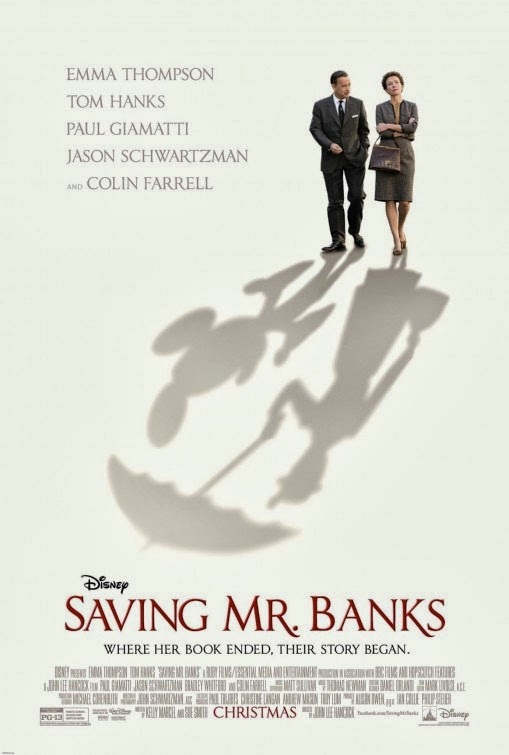 Saving Mr. Banks is the forthcoming biographical drama from Disney about the author of Mary Poppins, P.L. 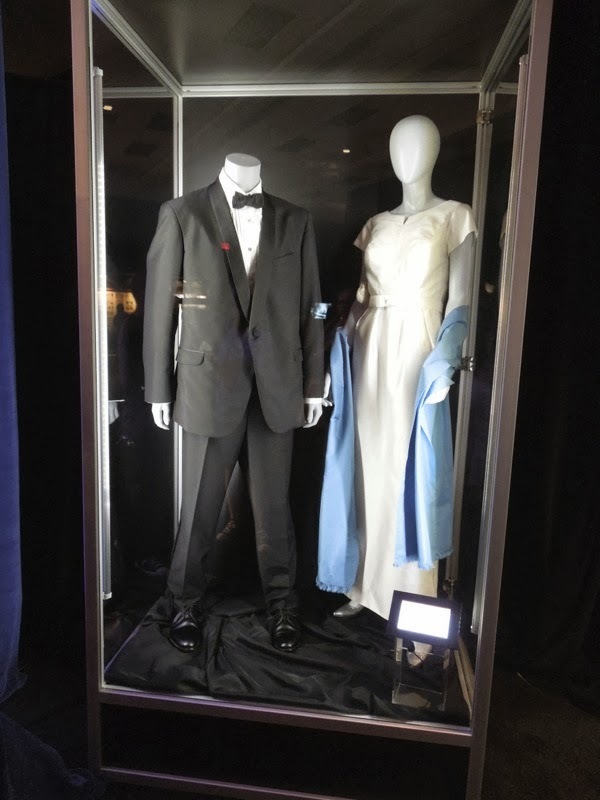 Travers, and centres around her difficult childhood in Australia and her negotiations with Walt Disney to obtain the screen rights to her infamous novel about the magical nanny. The title is taken from the patriarchal character of the same name, who was inspired by the writer's own father. 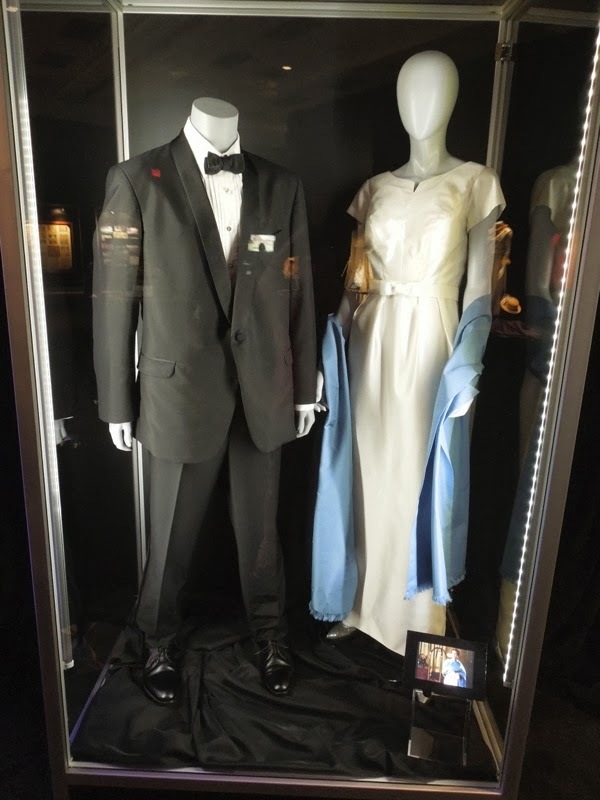 These original costumes worn by Tom Hanks as 'Walt Disney' himself and Emma Thompson as 'P.L. 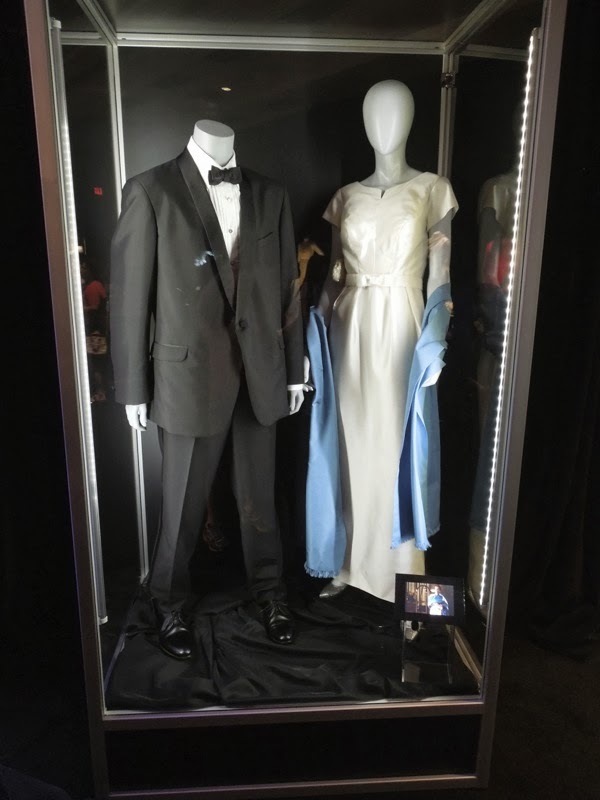 Travers' to the Chinese Theatre Hollywood film premiere, were photographed on display at the D23 Expo 2013 in Anaheim, California on August 9, 2013. 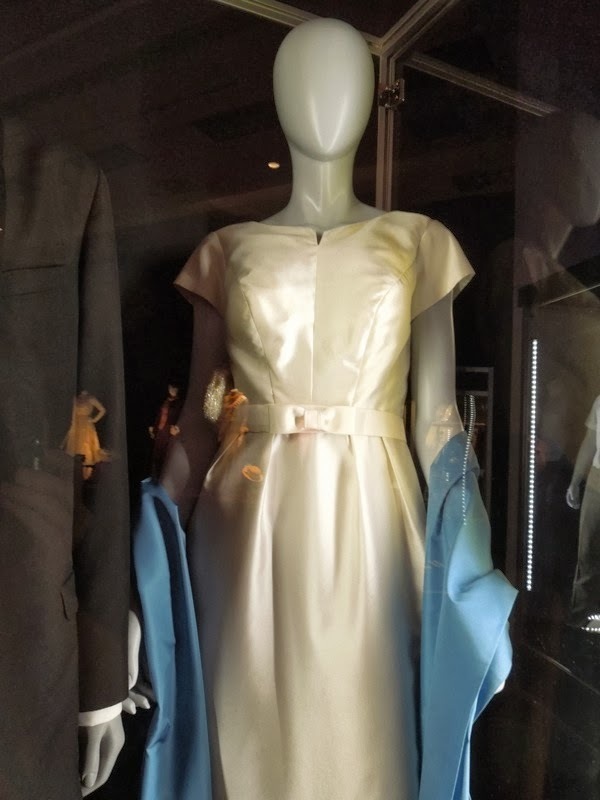 They were part of the Treasures of the Walt Disney Archives exhibit celebrating 50 years of the 1964 hit musical movie and were on display alongside original film costumes and props from Mary Poppins. 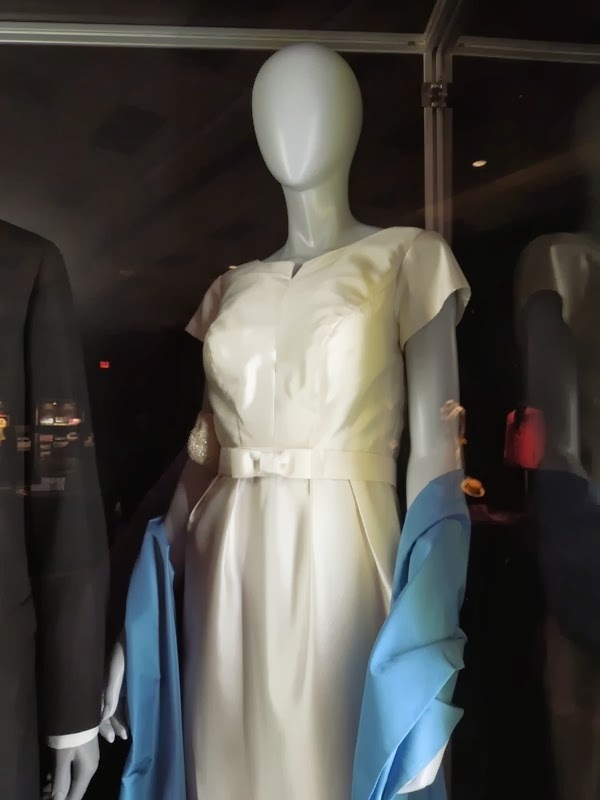 Also on display were 1960's inspired costumes designed by Daniel Orlandi and worn by B.J. 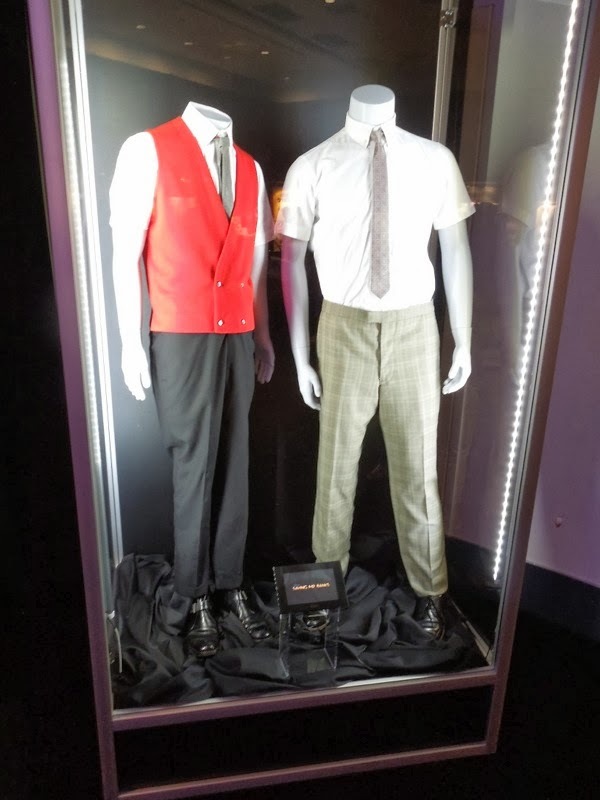 Novak and Jason Schwartzman as 'Robert' and 'Richard Sherman' respectively, the legendary songwriting duo responsible for penning the musical movie's memorable and much beloved tunes. 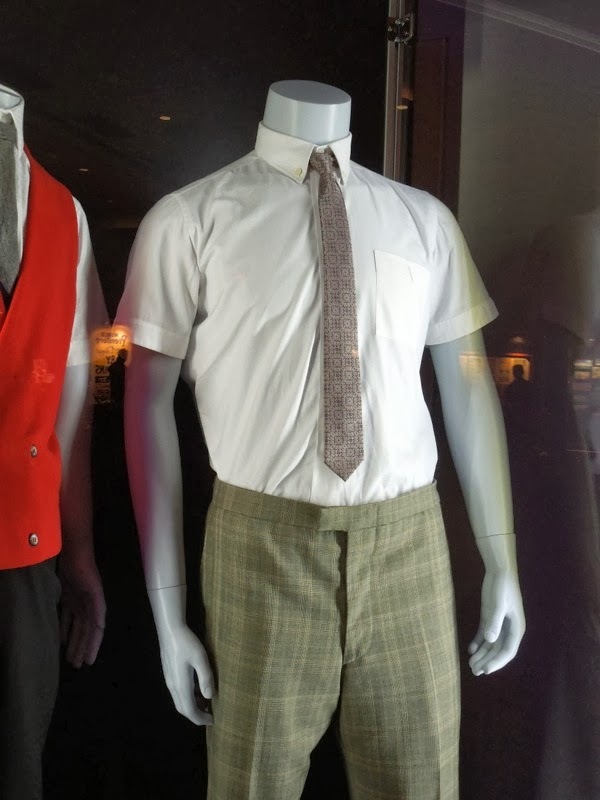 I believe that the red waistcoat outfit belongs to the Richard Sherman character in the movie. I have to say I also love the promotional teaser poster for Saving Mr. Banks and the way Walt Disney casts the shadow of his iconic creation, Mickey Mouse, and P.L. Travers casts the shadow of the umbrella-wielding British nanny.